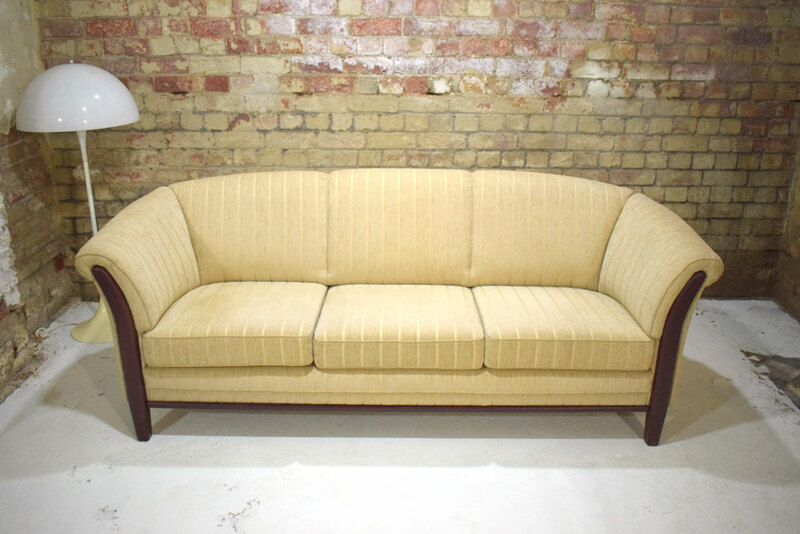 Modern 3 seat sofa in beige striped fabric upholstery with mahogany finish legs. 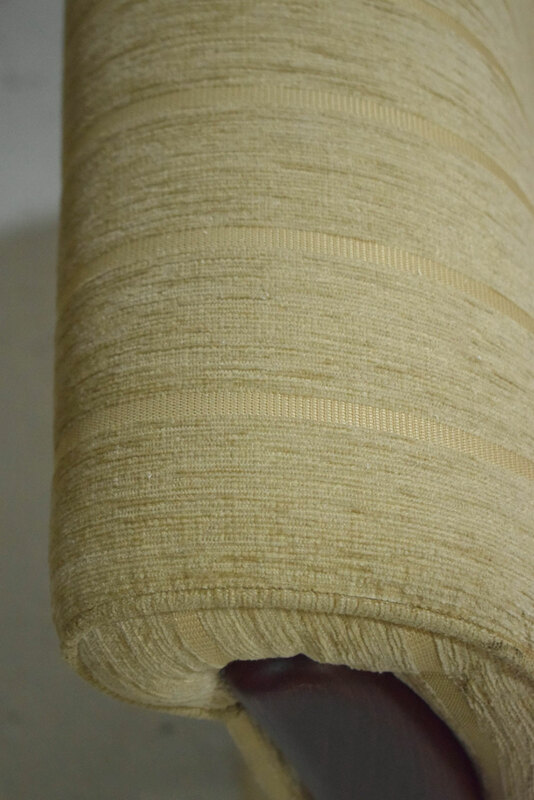 Made by Engell. 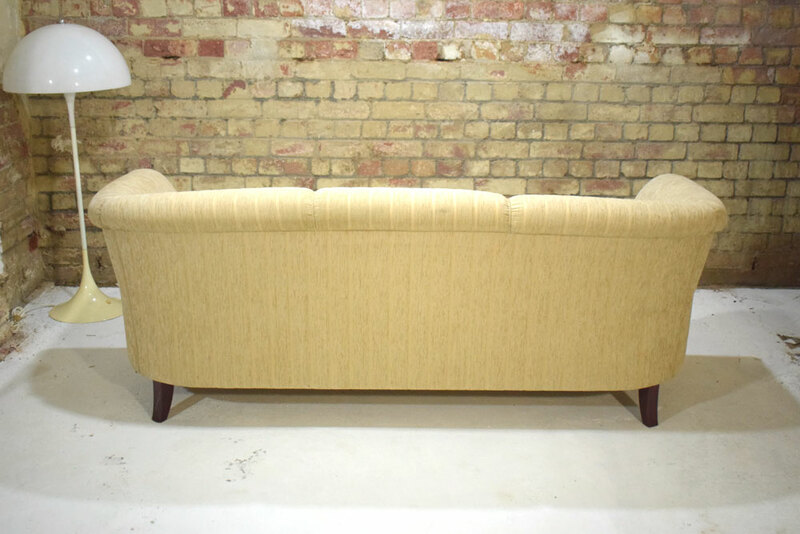 A wonderful modern sofa with a rounded back rest which provides excellent back support. 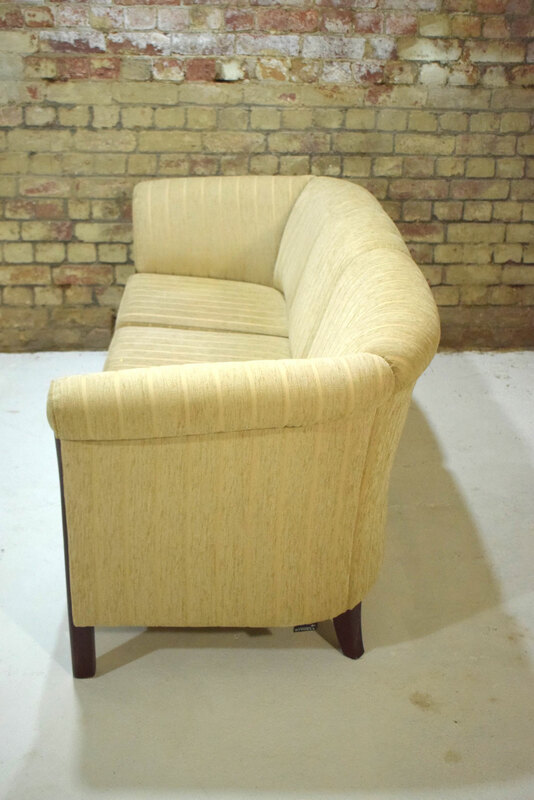 The high sided arms also allow you to snuggle up into the corner of the sofa in addtion to providing more support. 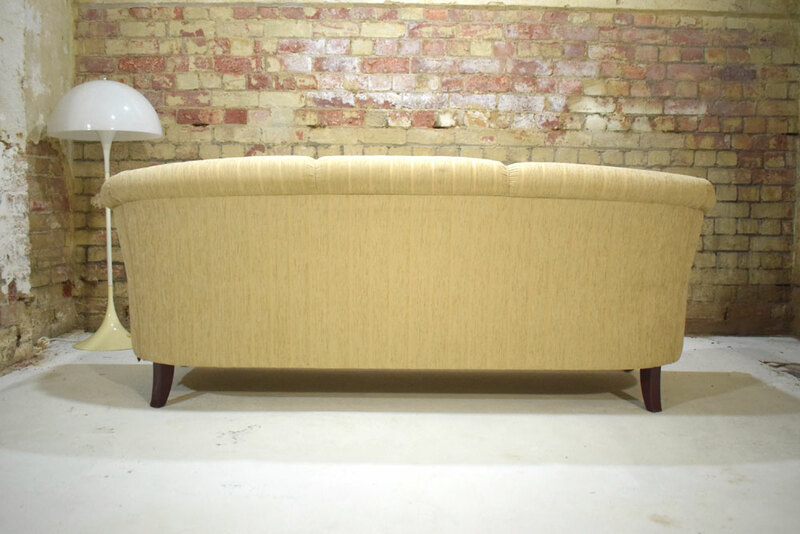 The sofa is upholstered in beige striped fabric and features contrasting mahogany finish legs. 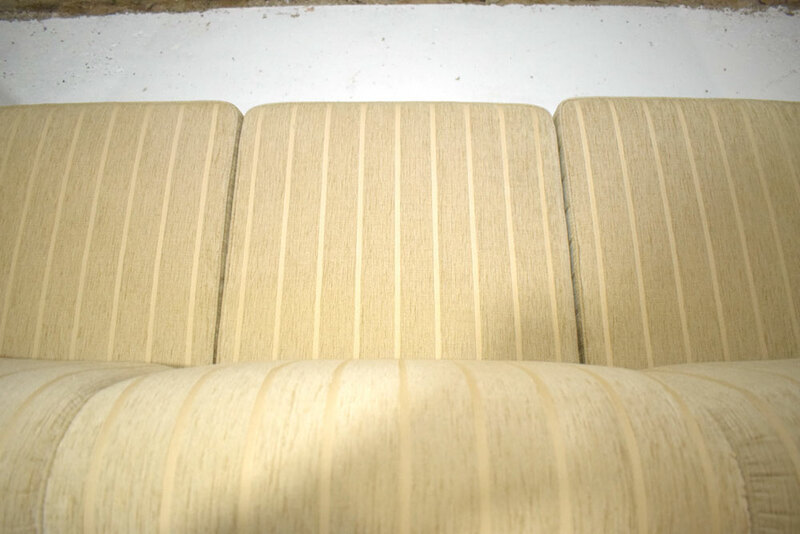 The seat cushions are loose and can be reversed for an even wear. 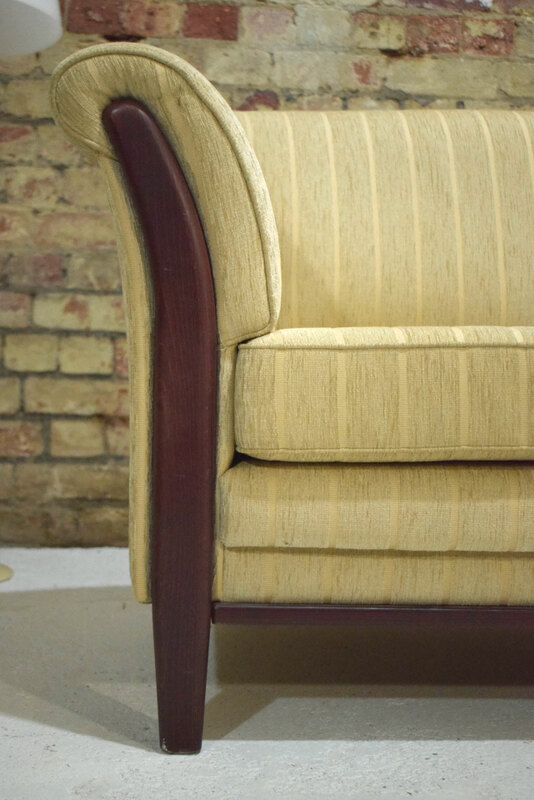 Condition: Very good with excellent seat & back support. Some minor signs of use are present. 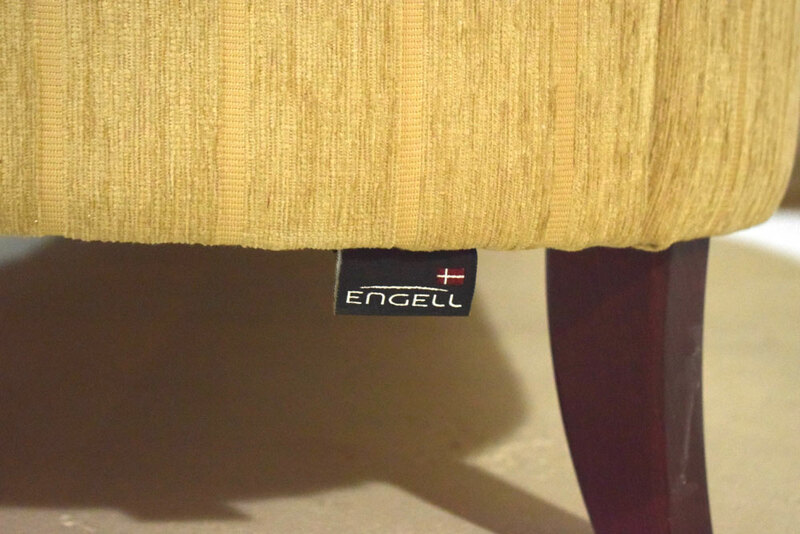 The Engells marker's tag is located at the back of the sofa. 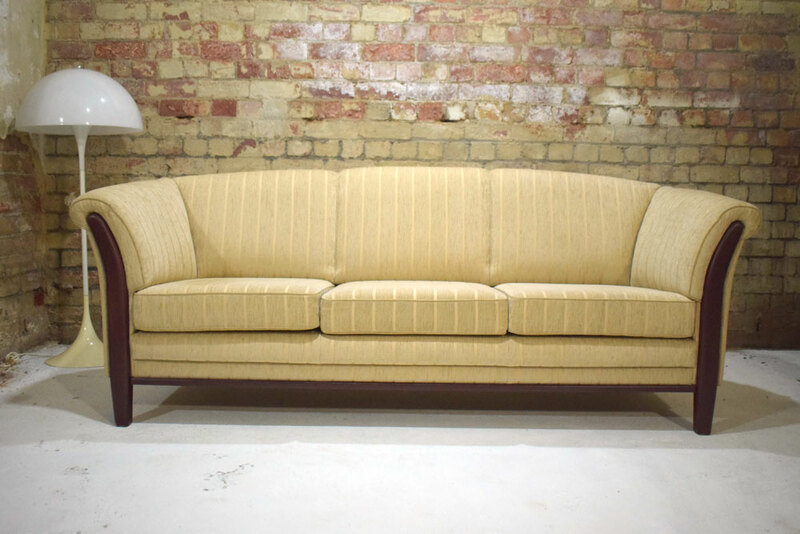 The sofa can be completely dismantled for easy transport / delivery.